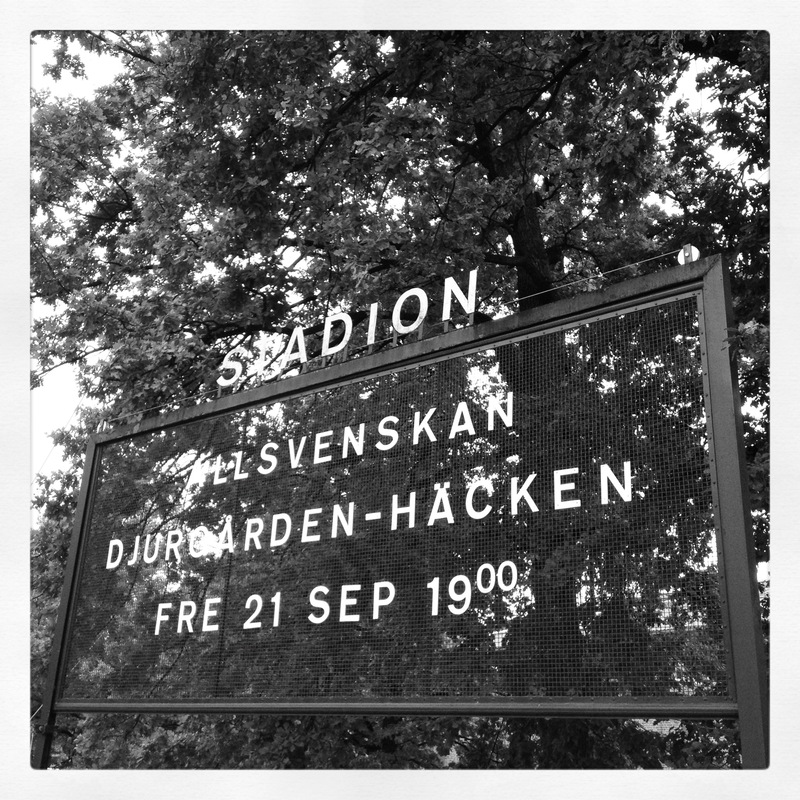 Simon Inglis’ epic tome on European football grounds had long made me hanker after seeing a game at the Stockholms Stadion, venue for the 1912 Olympiad. It’s been the long held thesis that athletics tracks should not and cannot be enjoyed as a football venue. 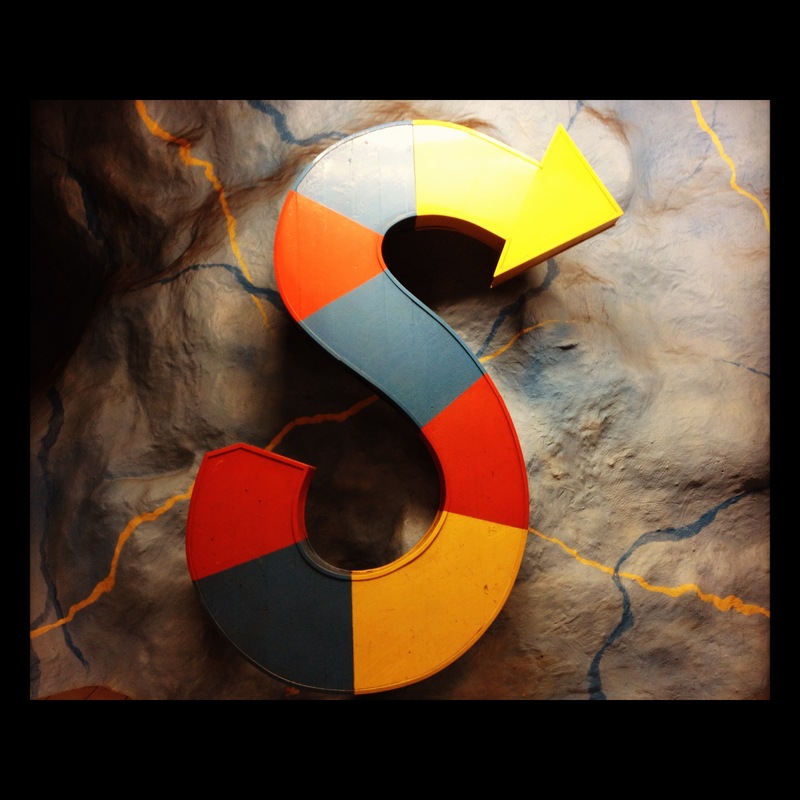 As with most things in life there is an exception to every rule and this venue knocks holes in that theory big time. Designed by architect Torben Grut, this fine venue with crenulated roofs, flag poles galore, tented royal box and carved roof supports is little changed a century after it’s inauguration. 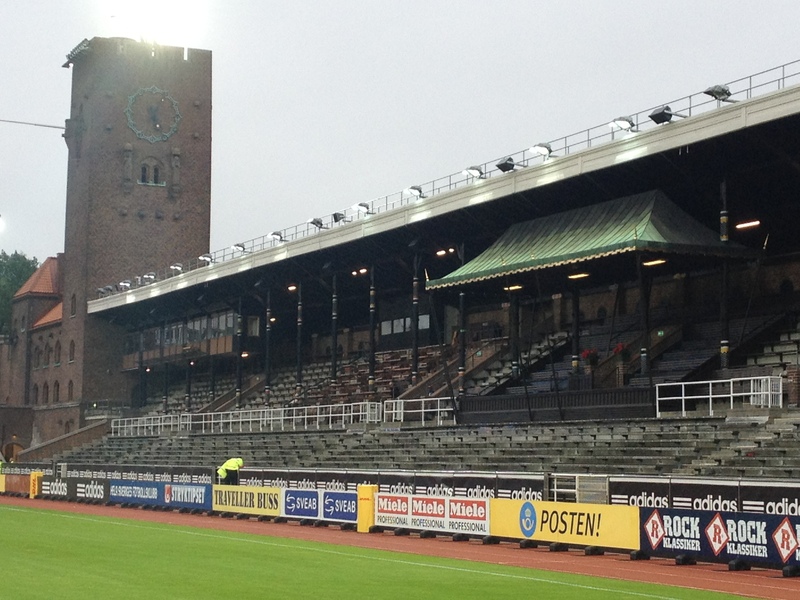 However, the footballing future, at least, of the Stockholms Stadion looks uncertain as the resident club, Djurgården IF, decamp to the new Stockholm Arena with Hammarby at the end of the 2012 season. With AIK taken up residency in the new national stadium it means that in one season the Söderstadion, the Råsunda and the Stockholms will be lost to football. 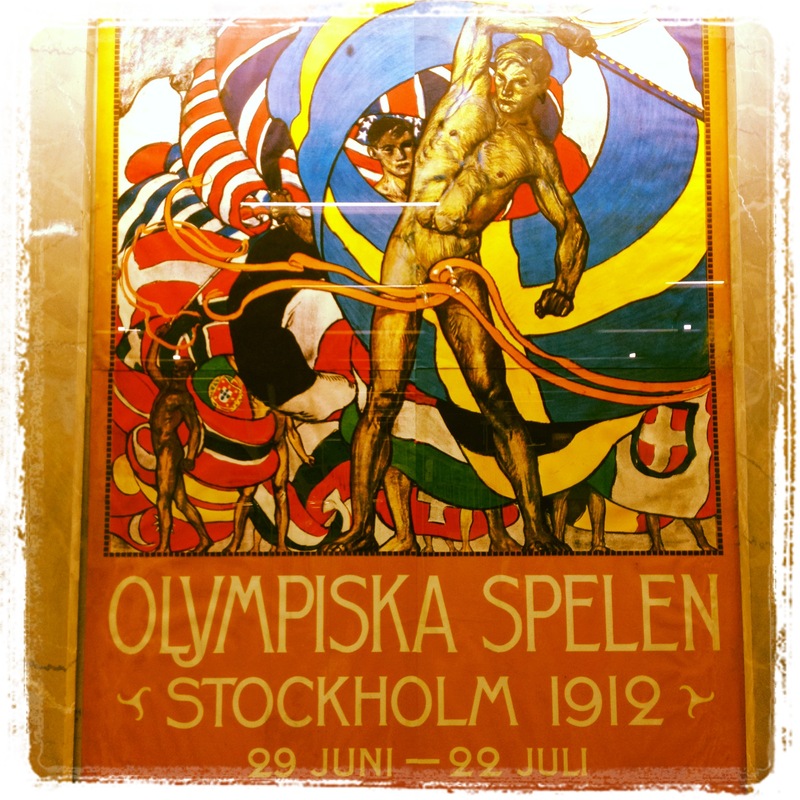 Arriving at the stadium is easy, tunnelbana to the simply titled Stadion station gets you in the mood, proudly displaying a 1912 Olympics poster and the crests of the resident clubs past and present. The stadium greets you with a retro board advertising the latest Allsvenskan clash for the home club against Gothenburg based BK Häcken. A circumvention of the exterior is a must to fully appreciate the workmanship in this construction. Tall towers in the corners, two with roof mounted floodlights, statues of athletes contorting in Olympian performance, weather vanes, ostentatious lamps and vintage turnstiles. 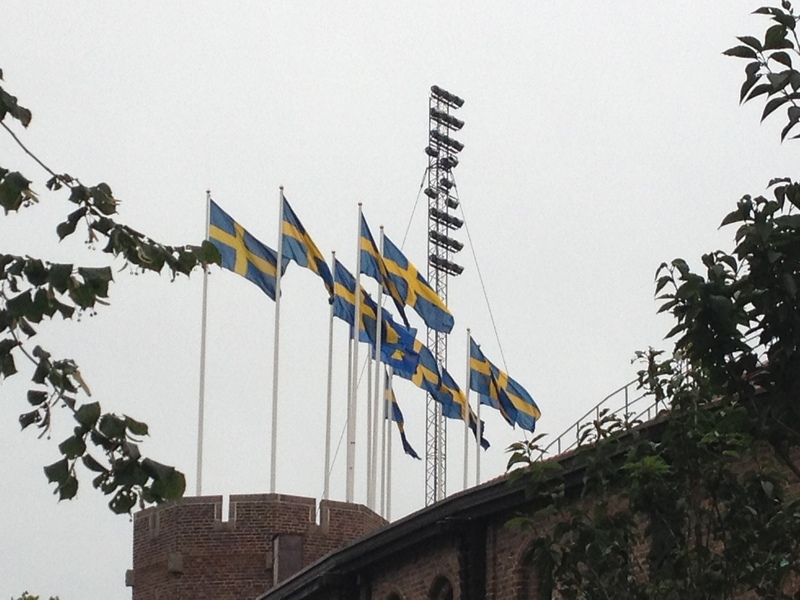 The Stockholms Stadion has it all. Armed with a free programme I take my place in section O a few sections away from the flag waving Ultras. The seats are numbing wooden planks but I don’t care as the full beauty of this stadium grabs me. It’s a rare and true beauty that can only be obtained from the patina of old age. On the field Djurgården are little match for their title chasing visitors and Häcken stroll to a comfortable 3-0 win in front of 5,594 people. If this season is to be the last for football in this grand old stadium then it is a truly sad time, but I am glad to have seen a game in one of my all time favourite venues. DIF:12.Kenneth Hohe;6.Peter Nymann;20.Andreas Dahlen;2.Joona Toivo(c); 13.Emil Bergstrom;5.Petter Gustafsson;11.Daniel Sjolund;16.Kasper Hamalainen;31.Simon Tibbling;8.James Keene;10.Erton Fejzullahu. Subs:4.Yussid Chisbah;15.Brian Span (on for 8,86 mins);23.Tommi Vaiho; 24.Daniel Jarl;25.Sebastian Rajalakso(on for 5,54 mins);27.Kennedy Igboananike (on for 31,67 mins);28.Alhaji Kamara. Häcken:1.Christoffer Kallqvist;6.David Frolund;15.Kari Arkivno;4.Mohammed Ali Khan(c);12.Oscar Lewicki;5.Emil Wahlstrom;14.Martin Ericsson;18.Waris Majeed;17.Bjorn Anklev;9.Dioh Williams;24.Rene Makondele. 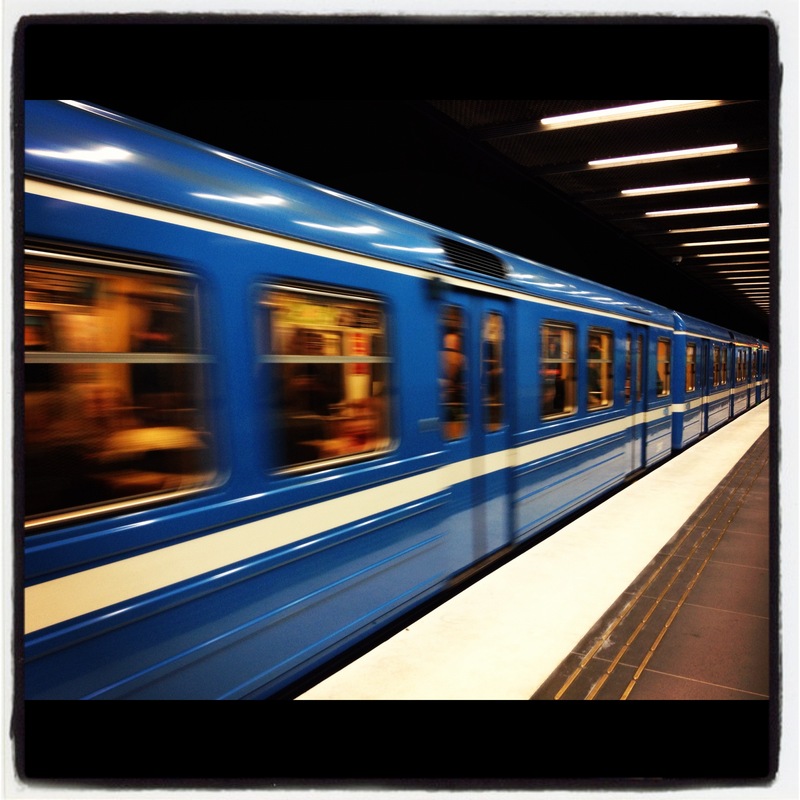 This entry was posted in Travel, Matches & Stadiums and tagged 1912Olympics, Allsvenskan, DIF, Djurgarden, First published at In Bed With Maradona, Stockholm, stockholmsstadion, Sweden by peterrmiles. Bookmark the permalink.